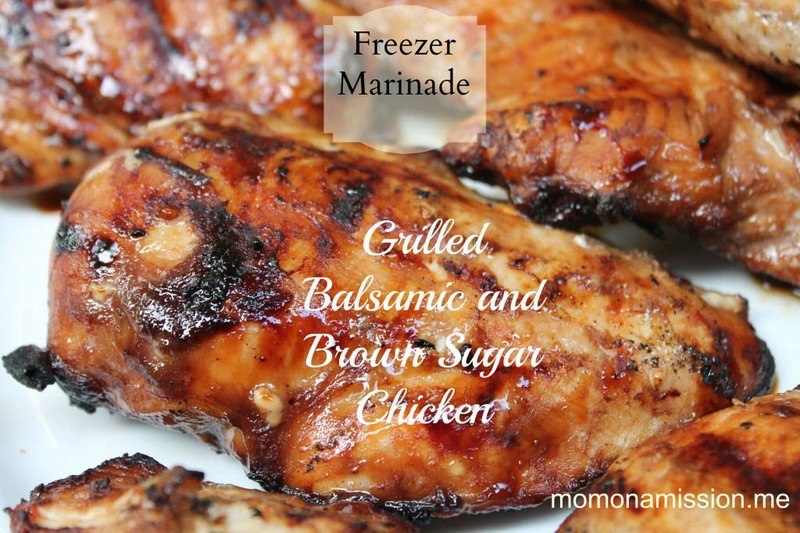 Have you ever heard of faux rotisserie chicken? No? Neither have I. I just made that term up. 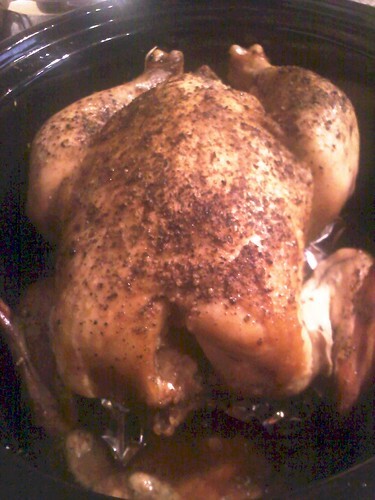 You can make this easy rotisserie chicken without having a grill, rostisserie or convection oven. 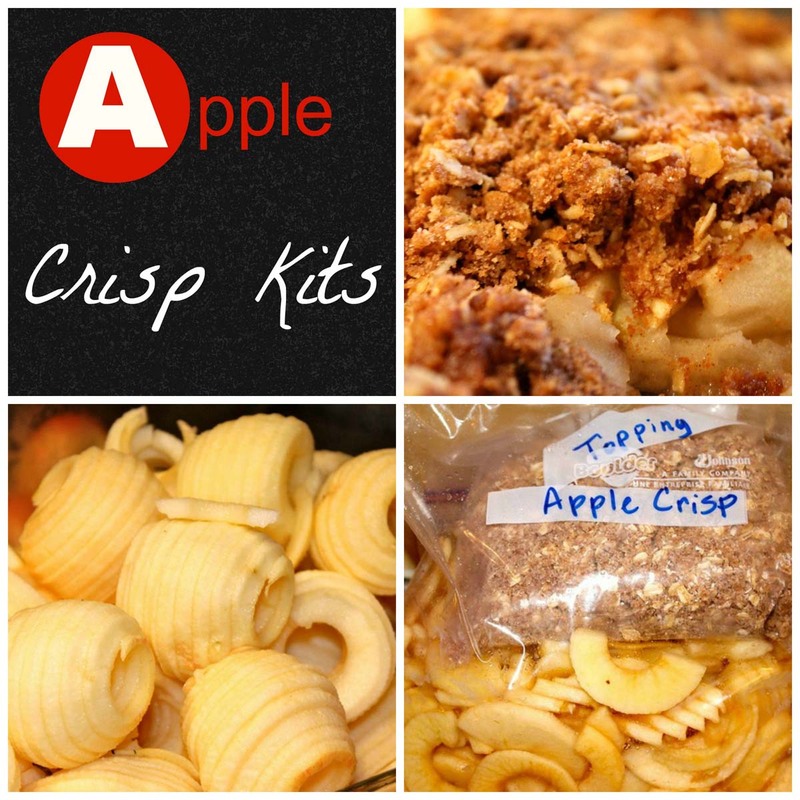 It’s perfect for the winter and you can freeze the leftovers for another meal. Let’s get started. Here’s the unique part. 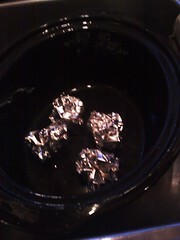 You begin by rolling up 4-5 balls of foil and place them in the bottom of your crock pot. This is going to raise your chicken and keep it from sitting in it’s own fat and ultimately give you a rotisserie chicken. 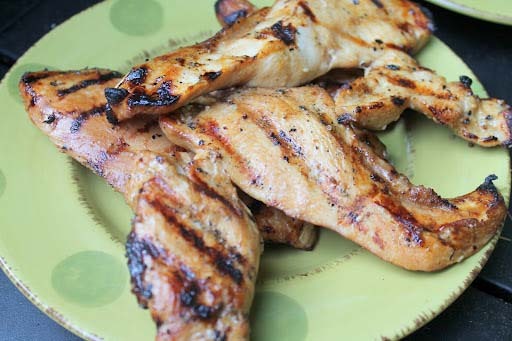 I remove the giblet package and rinse my chicken in cold water, including the cavity. 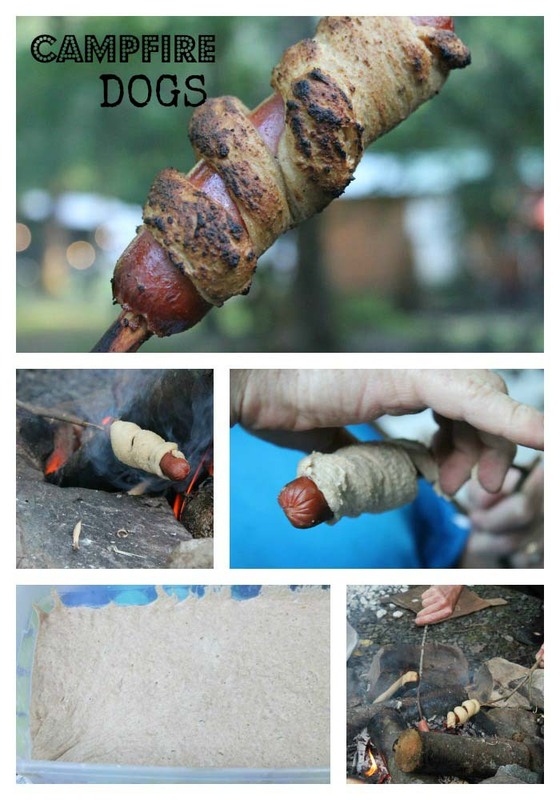 My secret is to loosen the skin on top of the breast with my fingers, being careful not to tear it. This is where I’m going place 2 cloves of minced garlic-between the skin and the meat. 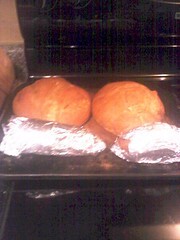 I shake off excess water and lay the chicken, breast side up on top of the foil. I generously pour olive oil on top of the chicken and season with kosher salt, freshly ground pepper and Italian Seasoning. 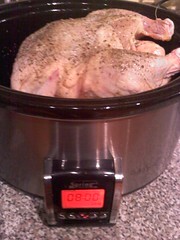 Then I cover and set the timer on high 4-6 hours. I would make a note of your cooking time on your printed recipe if it tends to be on the drier side. My crock pot gets extremely hot quickly so I’m going to adjust my timer next time and/or use a thermometer to test for doneness. We served our chicken with mashed sweet potatoes and Artisan bread (bake these together to save time and money) and green beans. I’m using the leftover chicken for chicken flatbread pizza. Learn how to make homemade chicken broth with the leftover skin and a few veggies in the post here. It’s free broth (almost). Let us know if you make this recipe and try varying your seasonings. Others would love to hear your ideas. 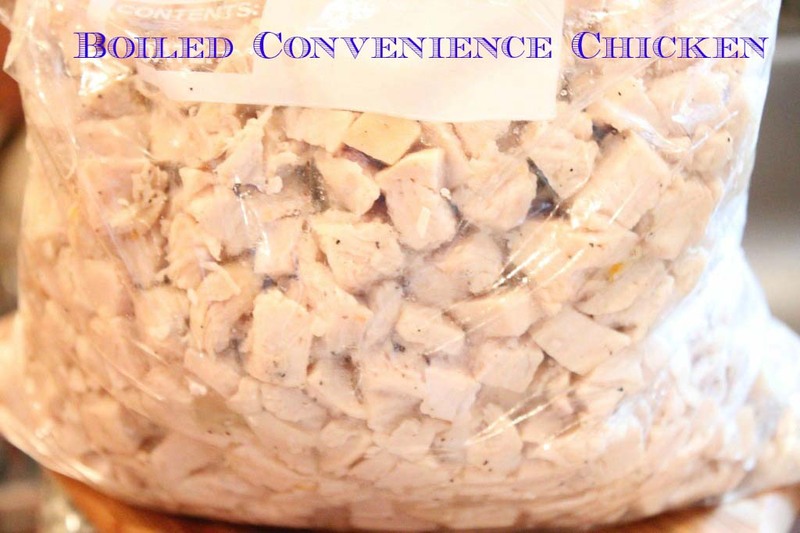 This entry was posted in Poultry and Pork and tagged chicken, crock pot chicken, crockpot, freezing chicken, rotisserie chicken, sticky chicken, whole chicken on 01.02.2011 by admin. This truly was amazing! I’ve made a roaster chicken in the crock pot before (my oven is broken) but didn’t think to set it on top of balls of aluminum foil! I also made the chicken broth. Thanks! I make my rotisserie just like this except I place it breast side down – that way the juice from the dark meat makes the breast nice and juicy too!